LED is the abbreviation for Light Emitting Diode. LED lamps have a high-energy efficiency and offer a very long service. Displays manufactured with LED lamps are well suited for indoor as well as outdoor use due to their excellent readability and they are an eye-catcher. 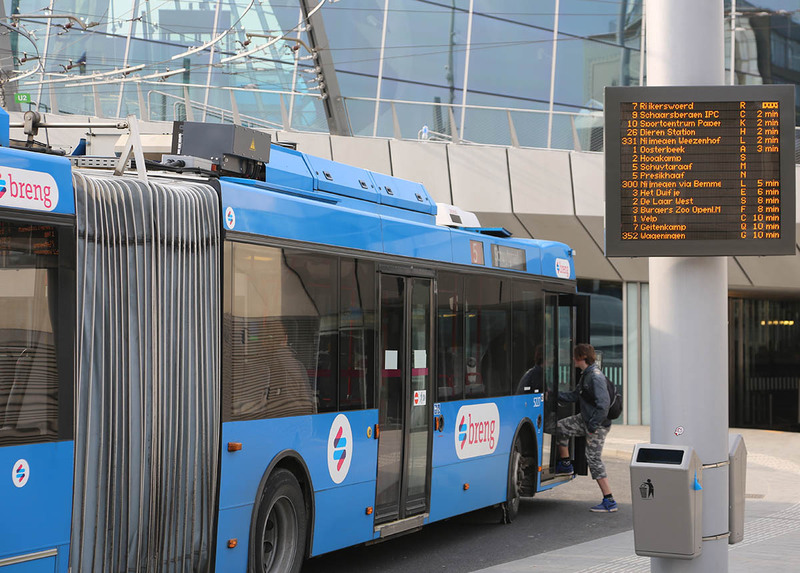 LED displays can be developed as line-oriented (for example, bus travel information) or full matrix (graphic) displays (for example, traffic management displays). LED displays are available in mono or multi full colour.